Bill's Movie News and Reviews: "The Homesman": Tommy Lee Jones directs an edgy "feminist" western about moral values on the frontier. "The Homesman": Tommy Lee Jones directs an edgy "feminist" western about moral values on the frontier. We don’t see as many westerns as we used to, so the moral climate, including vigilantism, may seem shocking. In his own film (as director), "The Homesman", Tommy Lee Jones plays as a drifter George Briggs (in the 1850s) hired by an aggressive single woman Mary Bee Cuddy (Hilary Swank) to transport three insane women from the Scottsbluff area of Nebraska back to Iowa, only after she cuts him down after left in a noose by vigilantes. And that’s because he bad been squatting on land after another pioneer went back east to find a “wife”. Jones was one of the screenplay writers, adopted from the novel by Glendon Swarthout. Cuddy is interesting early on, as she invites men over to her cabin to propose to them. You needed a spouse and children on the frontier. You can understand where some conservative “family values” come from. Cuddy says she was a pianist back East and has ordered one for her home in Nebraska. She uses an embroidery with a piano image and sings while pretending to play it, as part of her "radical hospitality". The official Facebook is here (Roadside Attractions). The film is shot mostly in New Mexico. 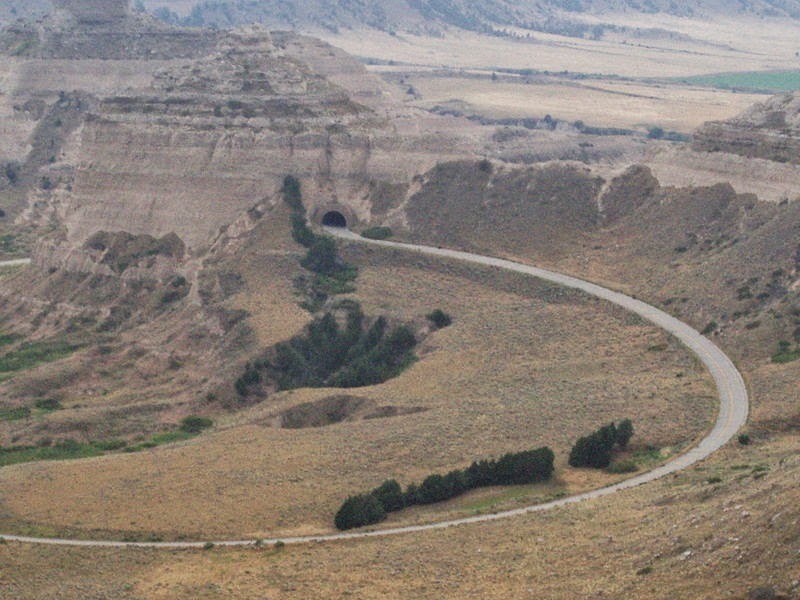 There are some bluffs in western Nebraska that could look like New Mexico. I hiked around Scottsbluff on the first Saturday of August, 1994, the day I decided to write my first book. I saw the film at the AMC Shirlington in Arlington VA.
One point: the journey was supposed to take place in May and June, but there are winter scenes, as if it took over a year to do the journey.